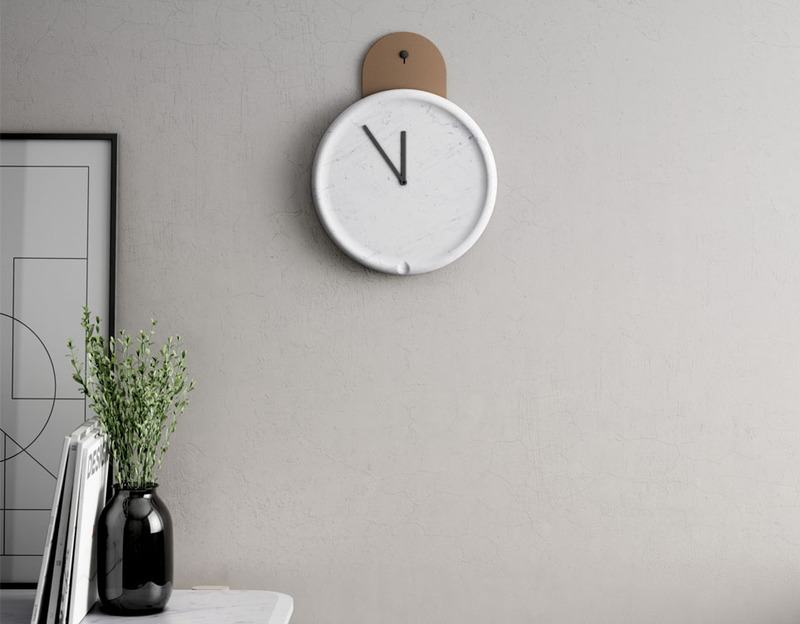 The Tanko clock combines the simplicity of Carrara white marble with the grandeur of full-grain leather from the Rémi Carriat tannery. The piece, when hanging on the wall, is steeped in gentle softness. Its shape is reminiscent of a bygone timepiece used to stop milk from boiling over: a milk watcher. The leathers are available in cognac, beige and graphite.